Plates and panels are primary components in many structures including space vehicles, aircraft, automobiles, buildings, bridge decks, ships and submarines. The ability to design, analyse, optimise and select the proper materials for these structures is a necessity for structural designers, analysts and researchers. This text consists of four parts. 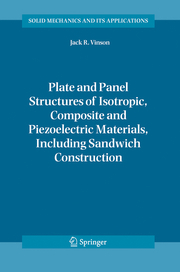 The first deals with plates of isotropic (metallic and polymeric) materials. The second involves composite material plates, including anisotropy and laminate considerations. 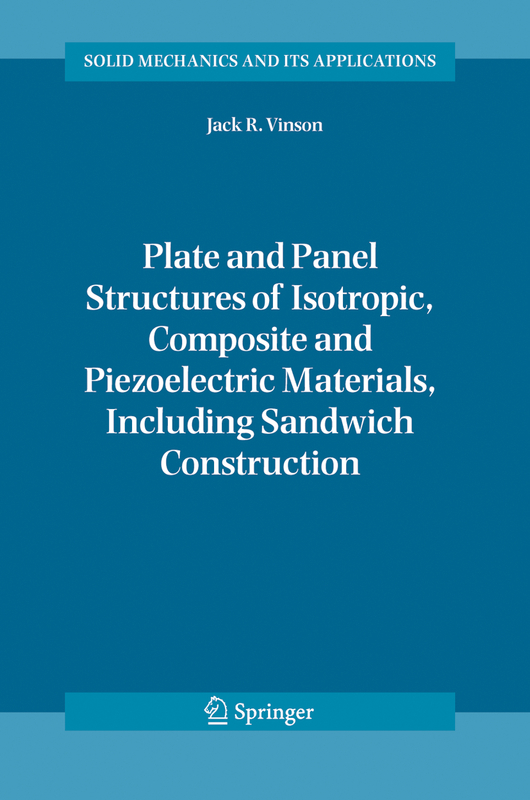 The third section treats sandwich constructions of various types, and the final section gives an introduction to plates involving piezoelectric materials, in which the &apos;smart&apos; or &apos;intelligent&apos; materials are used as actuators or sensors. In each section, the formulations encompass plate structures subjected to static loads, dynamic loads, buckling, thermal/moisture environments, and minimum weight structural optimisation. This is a textbook for a graduate course, an undergraduate senior course and a reference. Many homework problems are given in various chapters.